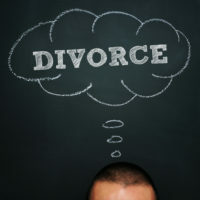 If you have been thinking about filing for divorce in Florida but have not yet spoken with a Tampa divorce lawyer, it is important to consider the ways in which changes to the tax law could affect the financial aspects of your divorce case. More specifically, and most immediately, changes to the tax law with regard to alimony or spousal support will take effect for divorces that are finalized after December 31, 2018. The changes to the tax law will have different implications for the parties in a divorce case when alimony or spousal support is involved. In short, the current tax law that applies to alimony tends to benefit the party who pays alimony, while the changes to the tax law that will take effect in 2019 will tend to benefit the party who receives alimony. We will say more about how alimony works and is taxed, and how the tax law changes will change tax calculations for Floridians. How does alimony currently work when it comes to taxes? For divorces that have already been finalized, and for those that will be finalized by December 31, 2018, here is how it works: the party who pays alimony gets to deduct the alimony payment from his or her income before paying taxes. As such, the party paying alimony does not have to pay taxes on the amount that gets paid to the other spouse in the form of alimony or maintenance. The party receiving the alimony, however, must claim the alimony or maintenance payments as income on his or her tax returns and pay income taxes on that amount. This is all going to change at the start of 2019. For any divorces finalized after December 31, 2018, the way in which taxes get paid on alimony or maintenance will, in effect, be switched. As an article in U.S. News & World Report explains, the party who is paying alimony or maintenance will have to pay taxes on that amount, and the party who receives alimony will no longer have to claim those payments as income and as such will not be required to pay taxes on that money. Why is the switch happening? The party paying alimony earns more income than the party receiving alimony. Therefore the party paying alimony will pay more taxes on the amount than the party receiving it. Any divorces finalized by December 31, 2018 will use the old model (currently in place), while any divorces finalized on January 1, 2019 or afterward will use the new model. As you might expect, the effects could be significant for either party. When a party files for divorce in Florida, at least 20 days must pass before the court grants the divorce. This means that Tampa residents still have time to file and finalize a divorce before the new tax law takes effect. If you have questions, you should speak with a Tampa divorce lawyer about your case. Contact Bubley & Bubley, P.A. for more information.